many names have come to the fore. as they're joined by more and more. and he built a machine that would fly. with his goggles and helmet in hand. but kept their feet on the ground. and all the acclaim that they got. Can you tell me the names of their crew chiefs? A thousand to one you cannot. he's the man who put them there. 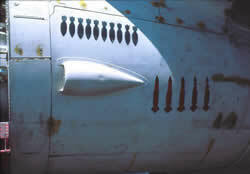 The Intruder was dedicated to the single mission of putting bombs on target. 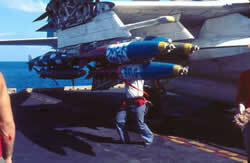 The pilot and bombardier/navigator guided this complex, state-of-the art weapons platform to the target and safely back to the aircraft carrier. However, behind the aircrew was a whole team of professionals who made this mission most successful. 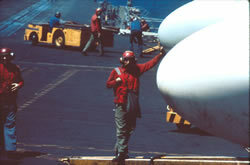 The Team behind the A-6 and its aircrew included the factory and field representatives from Grumman Iron Works, the Navy maintenance depot, the squadron maintenance department, the "grapes" who filled the tanks with JP-5, the LOX crew for crew oxygen, the plane captains who readied the flight for launch, the ship's crew that directed, shot and caught the A-6, and a host of other support personnel. 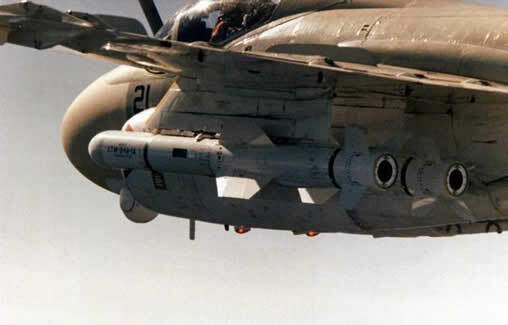 Most critical to the A-6 Team of professionals that 'put the bombs on target' were the ordnance men responsible for the care and feeding of all the millions of pounds of weapons the A-6 delivered. The 'ordys' job was literally back-breaking as they lifted 500, 1000, and 2000 pound bombs and secured them to the wings. 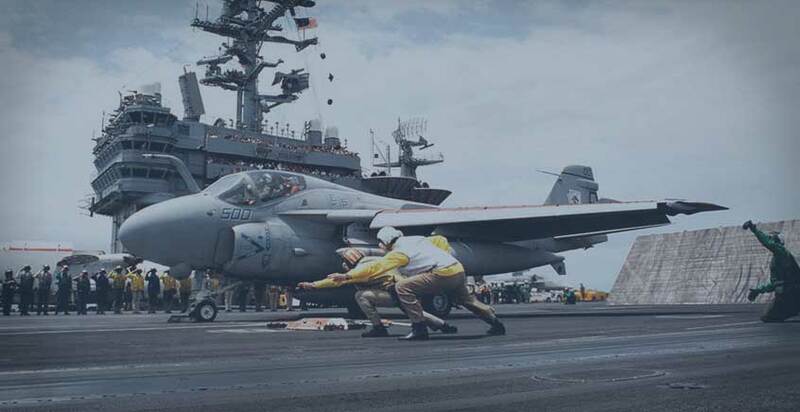 Day or night, rain or shine, the ordys sweated, grunted and groaned as they loaded tons and tons of bombs and missiles on the A-6 so the Team could successfully complete the real reason we were all there. 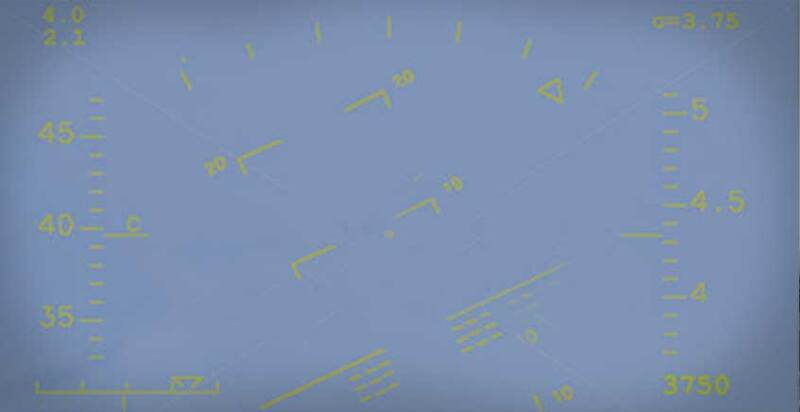 Departing the target area, aircrews silently thanked the ordys for all the ordnance safely releasing from the aircraft, this publicly recognizes their contribution to the outstanding success of the A-6 Intruder. Copyright 2016 Intruder Association. All Rights Reserved.